With the recent announcement of a new advisory committee on supply chain competitiveness, the Department of Commerce is looking to work closely with U.S. industry to identify ways of improving the movement of goods. Russell Adise is an international trade specialist in the International Trade Administration’s Manufacturing and Services unit. An important step in assuring the integrity of U.S. supply chain infrastructure was taken on November 3, 2011, when Secretary of Commerce John Bryson and Francisco Sánchez, under secretary of commerce for international trade, announced the establishment of the Advisory Committee on Supply Chain Competitiveness. Through this committee, the secretary of commerce will receive guidance and input from supply-chain firms and associations, stakeholders, community organizations, and others directly affected by the supply chain, as well as experts from academia, from throughout the United States on the development and administration of programs and policies to expand U.S. export growth and foster the competitiveness of U.S. supply chains in the domestic and global economy. 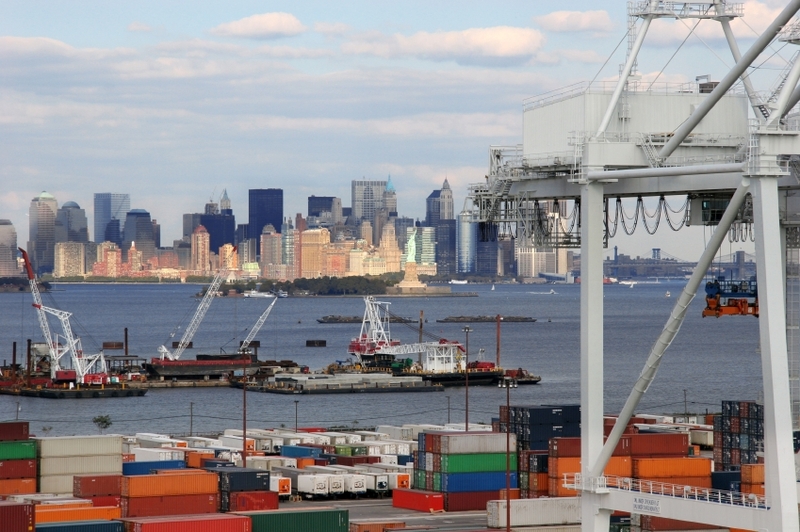 U.S. supply chains are a crucial link between the country’s exporters and the global economy. Every export, and every export-related job, is dependent on the operations and processes that comprise the nation’s supply chains, from material sourcing, to product manufacturing, to consumer delivery. U.S. export competitiveness depends on the smooth, seamless, and rapid movement of goods through the supply chains from beginning to end. Any chokepoint can result in missed exports, lost sales, higher costs, and lost jobs. The declining state of U.S. infrastructure has become an increasing challenge to exporters. Systemic, long-term infrastructure deficiencies have a dramatic, negative impact on the speed and predictability of the movements of goods around the country. Shippers blame this situation on the lack of a comprehensive national freight infrastructure development and investment policy. They also assert that the United States is not improving its infrastructure fast enough to keep pace with the export demands of 21st century supply chains. These infrastructure deficiencies pose challenges not only to individual exporters, but also to the success of the National Export Initiative, a federal initiative established by President Barack Obama in 2010 to achieve his goal of doubling U.S. exports by the end of 2014. The advisory committee is a key piece of a larger Department effort to address the challenges of supply chain infrastructure, organized by the International Trade Administration’s Office of Service Industries, a part of ITA’s Manufacturing and Services unit. In 2010, ITA spearheaded the creation of the Competitive Supply Chain Infrastructure Initiative. This brings together federal and private-sector stakeholders to develop policies that will improve the efficiency and connectivity of U.S. supply chain infrastructure. As part of the initiative, then-Secretary of Commerce Gary Locke and Secretary of Transportation Ray LaHood signed a memorandum of understanding in April 2010. It committed the two agencies to undertake a series of freight stakeholder outreach forums. Since September 2010, five such events have been held throughout the country: in Atlanta, Georgia; Chicago, Illinois; San Diego, California; Kansas City, Missouri; and Seattle, Washington. These have allowed the two federal agencies to widen their knowledge of each region’s top freight infrastructure issues. Additional events are planned for 2012. U.S. citizens engaged in international trade or supply chain competitiveness issues are eligible to apply to be members of the new Advisory Committee on Supply Chain Competitiveness. Nominations must be received by December 14, 2011. For more information, see the notice published in the Federal Register at 76 FR 68159 or contact Richard Boll of the International Trade Administration, tel. (202) 482-1135; e-mail: richard.boll@trade.gov.